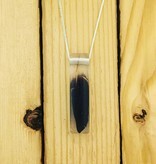 Black Drop Skinny Feather Necklace 18"
Home / Black Drop Skinny Feather Necklace 18"
Black Drop Designs photo jewellery is designed and made in Vancouver, BC. Jade Pellerin combines her experience in photography, her work in a silversmith’s studio and a lifetime of making art for herself. 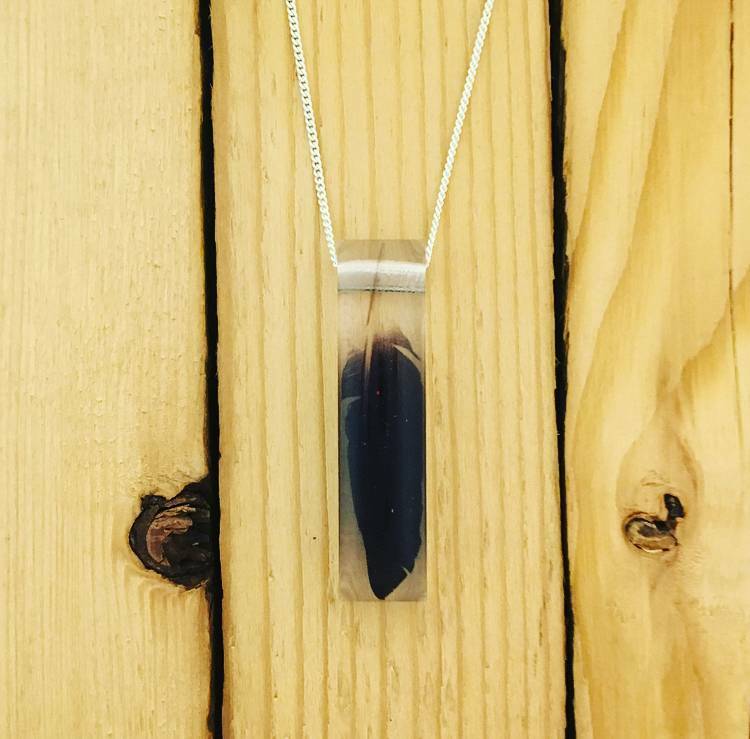 Jade uses her own photography and incorporates it into jewellery that she makes by hand. Her signature pendants and earrings are transparent, which brings the focus to the image. This simplicity throughout the Black Drop line is what makes the pieces so effective. Inspired by her surroundings and travel, Jade works frequently with tree imagery, but she also loves urban architecture and citylines.